FREE NeilMed Sinus Rinse Kit! 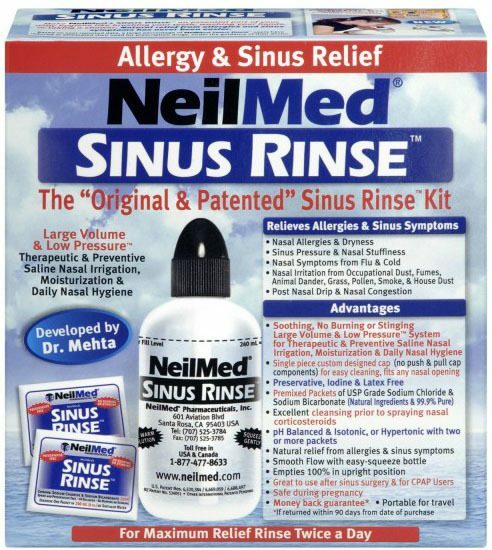 You are here: Home / FREEbies / FREE NeilMed Sinus Rinse Kit! Here’s a great FREEbie for all of you who have cystic fibrosis or immotile ciliary syndrome! Grab a FREE NeilMed Sinus Rinse Kit! You’ll get the bottle and 2 packets of sinus rinse powder. This rinse is a great way to keep your sinus passages open. I use this regularly, and it’s worked wonders for me! I wish I had gotten my kit for FREE!